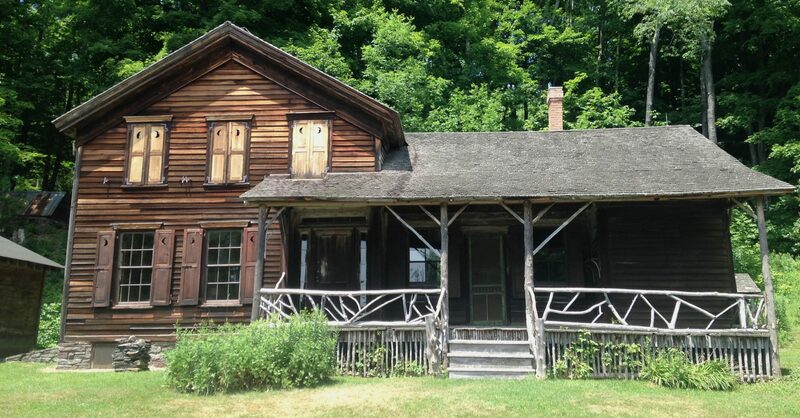 Free Tours of The Lodge, 1633 Burroughs Memorial Road, Roxbury, NY 12474. The Lodge is now open for the summer season! Tours of the Lodge are offered the first weekend of every month, May through October, Saturday and Sunday, 11-3pm. Click here to find a map of our location. Reservations are not needed. Group tours on other dates are provided upon request with at least one month’s notice. Please note: The Lodge is not wheelchair accessible. Admission is free; donations towards the ongoing restoration of the house are warmly received. 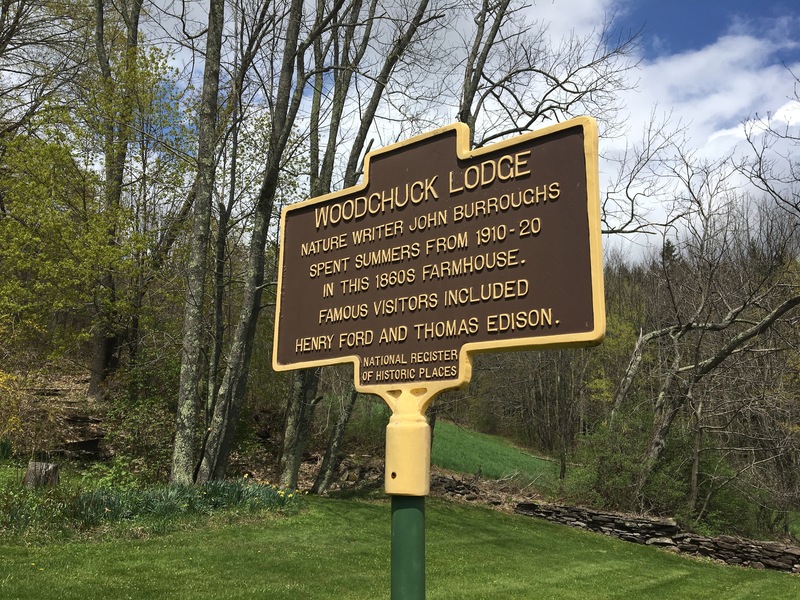 After your tour, be sure to spend some time at John Burroughs Memorial Field State Historic Site a pleasant walk (or a short drive) up the road. An outdoor exhibit recounts highlights of Burroughs’ life and work. A marked path takes you to his burial place where you can sit on a rustic bench, or on the stone wall surrounding his grave, to drink in the wonderful view and savor the silence. John spent much time here in his youth, day-dreaming atop a boulder deposited by a glacier eons ago. Known as Boyhood Rock, it now marks his resting place, visited by pilgrims from all over the world. 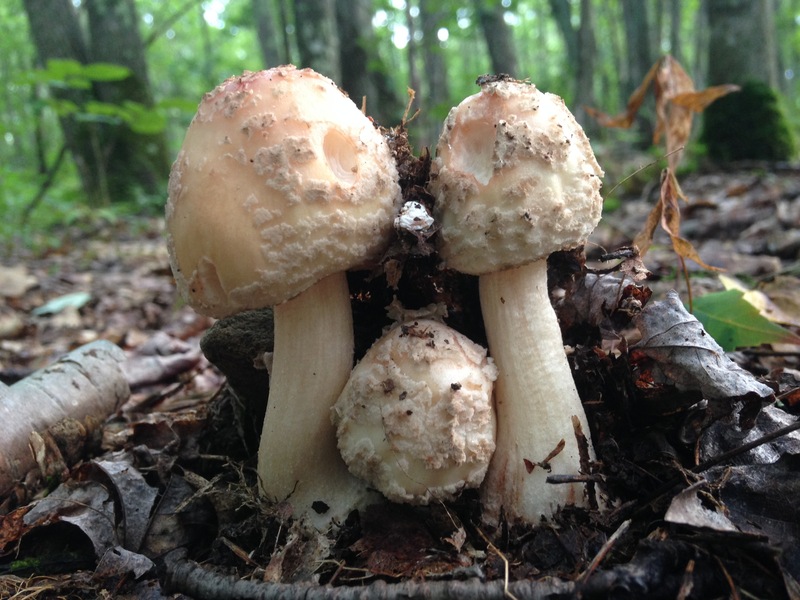 This Saturday, John Michelotti, owner of Catskill Fungi and President of the Mid-Hudson Mycological Association, discusses the ecological functions of fungi, common edibles and medicinal mushrooms in the Catskills, as well as historic uses of fungi and present day research and innovations. Learn to easily grow mushrooms indoors or in your garden as companions to your plants this season. Find out more at CatskillFungi.com. This event takes place at Woodchuck Lodge, 1633 Burroughs Memorial Road, Roxbury, NY 12474.